Tenure: Lawson State follows the Alabama Students First law as it relates to tenure. Tenure is reached at the College after working 3 consecutive years (and one day) at a Satisfactory level of performance. 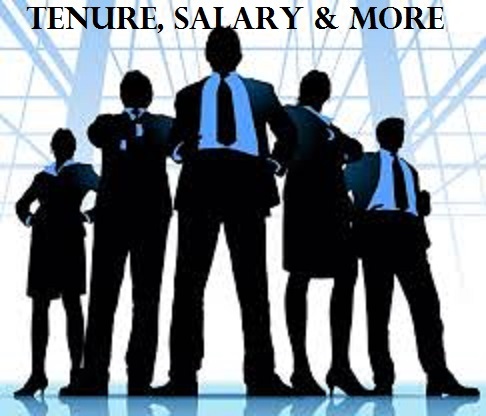 Tenure is not guaranteed nor should it be assumed. Non-tenured employees are considered probationary and can be non-renewed without cause given the appropriate notice as outlined in the Act. Promotion in Rank: Rank Change: Rank changes can be quite tricky, largely because individuals seeking a rank change may skip the pre-approval process. With that in mind, if you are interested in pursuing a higher degree and are also interested in receiving a rank change, you MUST follow these steps. Step 1: Study and Review the Credentialling Guidelines outlined in Policy 605.02. Be sure you understand the full requirements you will have to complete in order to move up in rank. Ask questions throughout the process to ensure you understand. Step 2: Select a nationally recognized accredited college or university. Do your research. Step 4: Before enrolling, complete a Faculty Growth Plan (click the link) and submit it to the Vice President's Office for pre-approval. NEVER skip this step. Step 5: Once the Vice President has signed off on your Growth Plan, enroll and begin classes. Update the Vice President accordingly. Step 6: If you change your major or school, complete a new Faculty Growth Plan. Promotion to a higher ranked position. If a position of higher rank becomes available, the HR Department will post the position on the HR website. If eligible, you will have to compete for the position against other viable candidates who either work that the college or are external to the college. Once applications are collected and the posting date has closed, a committee is formed to review the applications. Once applications are screened for qualifications, eligible candidates are interviewed and ranked. The Top 3 candidate's names are sent to the President for possible hiring. Only the President can select and appoint new hires at Lawson State. Click here to view more policies related to personnel. 600 Series/Personnel Policies.